Included with most Sato Racing Rear Set kits. Please verify thread diameter and pitch before ordering, OEM's can make running changes mid-production. Includes two replacement crush washers and wire lead to connect to your rear brake light switch harness. Some modifications may be required for proper operation. Replaces existing banjo bolt on rear brake master cylinder. 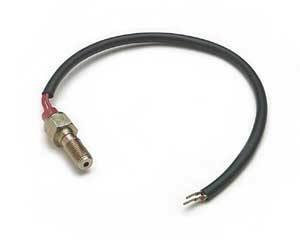 Optional adapter available for alternate installations.